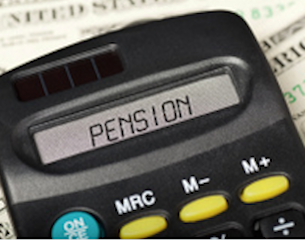 This year looks set to bring a new danger for pension savers and their employers. The new flexibilities allowable under Freedom of Pensions legislation are very welcome to those saving for retirement. Yet such freedoms may also present criminals with new opportunities to ‘scam’ the unwary saver — potentially stealing some or all of an employee’s accumulated retirement wealth. This is, of course, devastating for the individual — probably leaving them with no option but to continue to work for as long as health allows them to do so. This in turn has implications for the employer, with engagement, motivation, mental health and succession planning all potentially affected. So what can be done to prevent this happening to your workforce? First, it’s important that both employers and employees understand that this is a very real risk. Pension provider Standard Life recently declared that it had blocked around 400 suspicious scheme-to-scheme pension transfers. Yet the pension providers will find it much more difficult to prevent frauds under the new system, where the instructions to disinvest funds can be driven solely by the saver without third-party involvement. As a result, the new system may be less well policed. So employees will need to better understand the risks involved in their decisions. Another useful tip will be to encourage the pension savers only to approach the employer’s nominated pension scheme intermediary when formulating plans around their retirement savings. Most employers now go through a formal tender process and due diligence in appointing professional advisers, so this route will provide employees with an established and reputable practitioner to assist them with such crucial decisions. So some practical steps that employers can take immediately to help prevent this happening within your workforce. This is sure to be a topic that we will return to later in the year as the industry becomes aware of new scams being used by the criminals. The Department for Work and Pensions (DWP) has unveiled a new communications campaign to raise awareness of the new State Pension that will be launched next year.